Using text messages, (SMS), to deliver your marketing message may seem both strange and costly in comparison to sending an e-mail. Not only can you not send pictures without a special service add-on but there is a limited number of characters you can use to get your information delivered, so why bother? First of all, think about how many times you have received e-mails but have deleted them before you have opened or read them? Now think about how many SMS messages you have received and not opened or even deleted them before reading, it is likely you can count on one hand the answer. So this is the first reason why sending your marketing message by SMS can be a good idea – open rates are incredibly high in comparison to e-mail open rates meaning your message will be read and digested. This does not mean you should abandon e-mail and replace all your e-mails with SMS, it’s about working out what works best and when to make the most impact. Secondly, think about how SMS can work for you, knowing it will be read means making the message short, to the point and calling for an action by the recipient. Your message should be current and its aim should be to achieve a reaction or action based on the subject contained in the message. The value of the message is what it achieves, it will most likely be read but your aim is to get your audience to complete an action once it has been read. Thirdly, it’s a window of opportunity that will slam shut as quickly as it opens, so timing is key. Using SMS generally is best at the time of an event, an offer or to change current trading conditions. Make your message relevant to the audience, even choose your audience and give them information about what is happening now, today. People like to have choices and sending an SMS at the right time might turn them down the road to you and your business instead of your competitors. Although in business you have to pay for an SMS service the return on investment can be great. Using SMS to drive your audience to where you want them is a powerful tool. Having the knowledge they will more than likely read your message means you can use it to point people in the direction of your brand when you want to – your success will be in your message and its impact on your audience at a moment in time you decide. 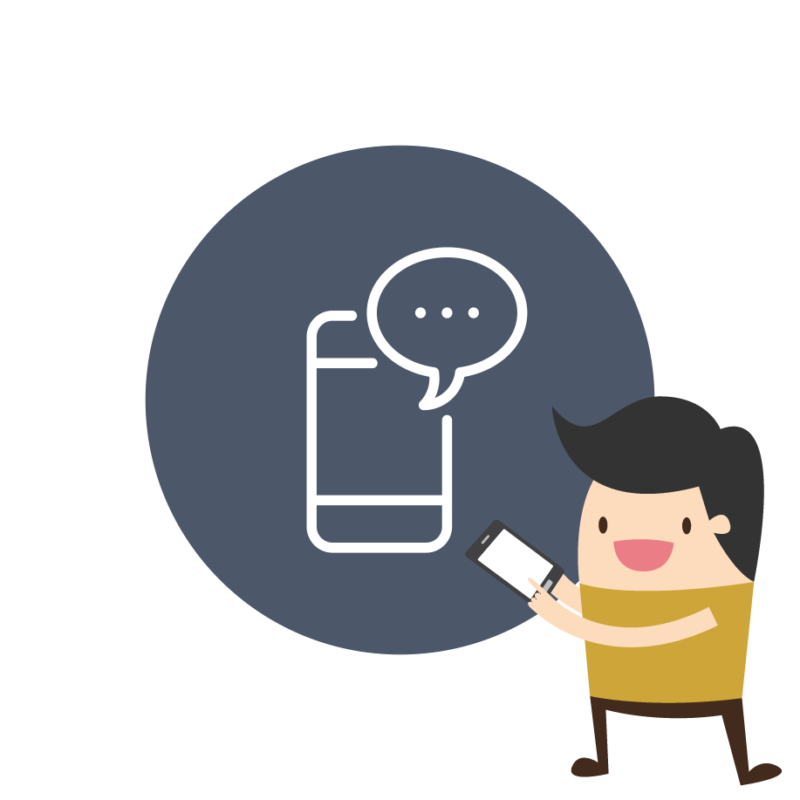 Our easy to use SMS builder allows you to write your own text messages and include any links you need to your website. Find out more here or get in touch to talk to us.